My Jamaica photos are FOR SALE! This was our 2nd vacation at Sandals Ochi. 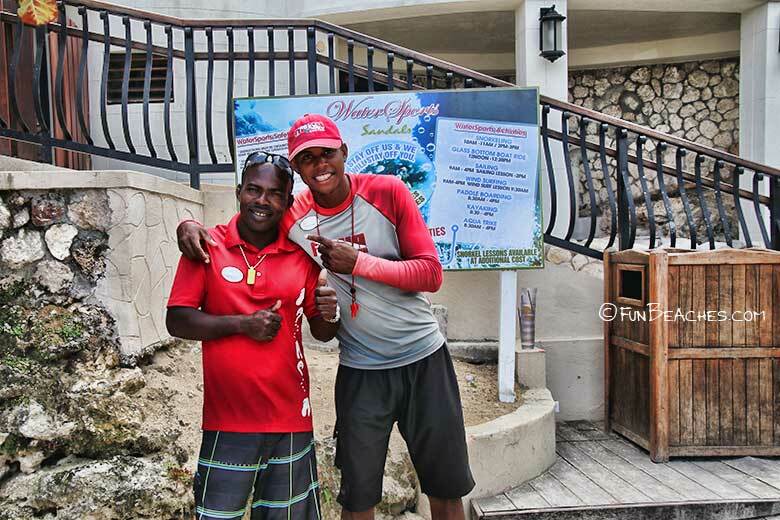 We first visited this Sandals Resort in 2013, and at that time we knew we would love to do it again. It took awhile, but this vacation was well worth the wait. 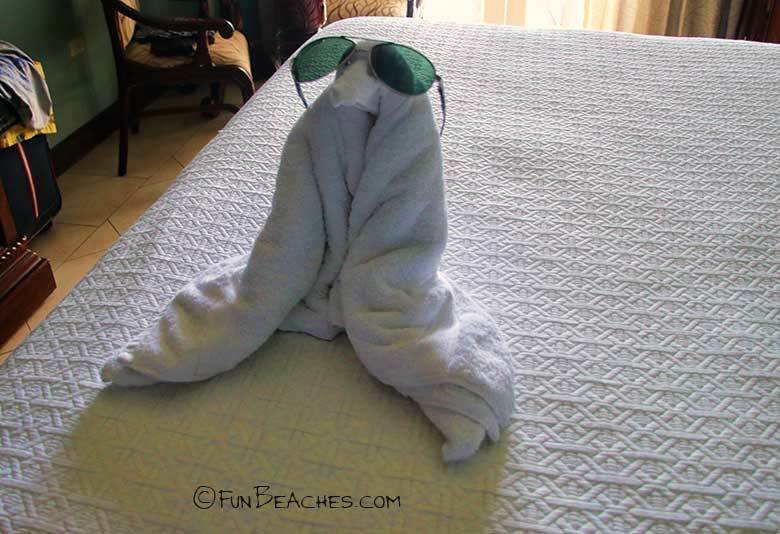 We have been to many Sandals resorts (as you know if you've been reading my reviews over the years.) 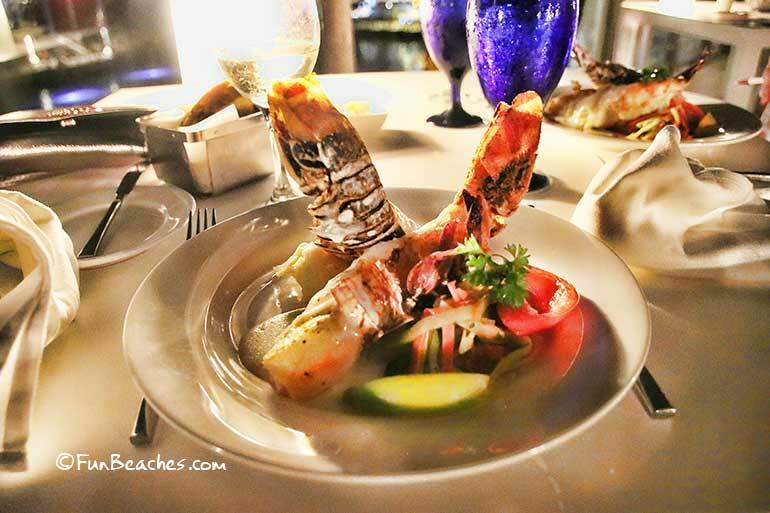 Sandals Ochi exceeds expections due to attentiveness to detail, service, food and overall "welcome." 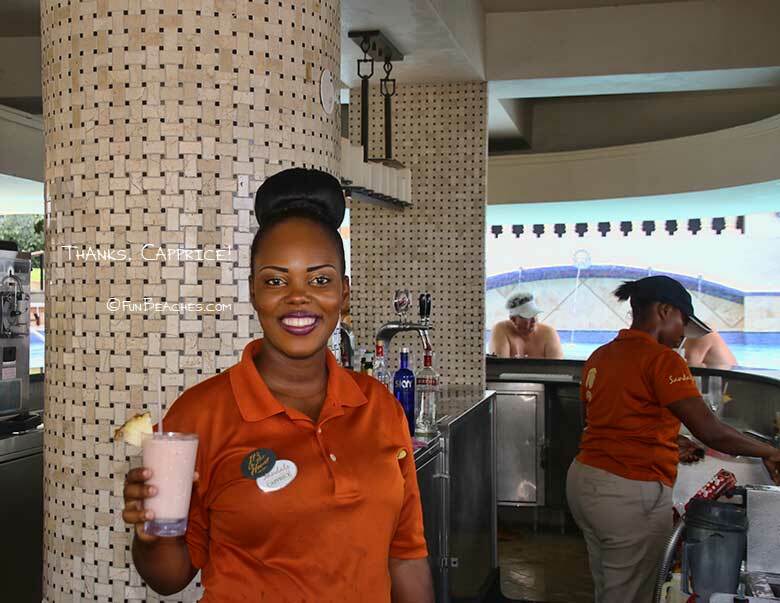 We met so many returning guests this year who enjoyed telling us what they loved best about Sandals Ochi, and why they return year after year. Sandals Ochi does not have the beajuty of some of the other Sandals Resorts. It does not have an outstanding beach. It does not have a Cafe de Paris! But...it makes up for all of this this with superb service and attention to detail. And oh yes...The Rabbit Hole! (See my photo gallery below). Remember the speakeasies during the prohibition? Neither do I, so I figure this is as close as I'll get. You'll need a password to enter, but it's all done in fun.! We were greeted by name from management and many other employees. 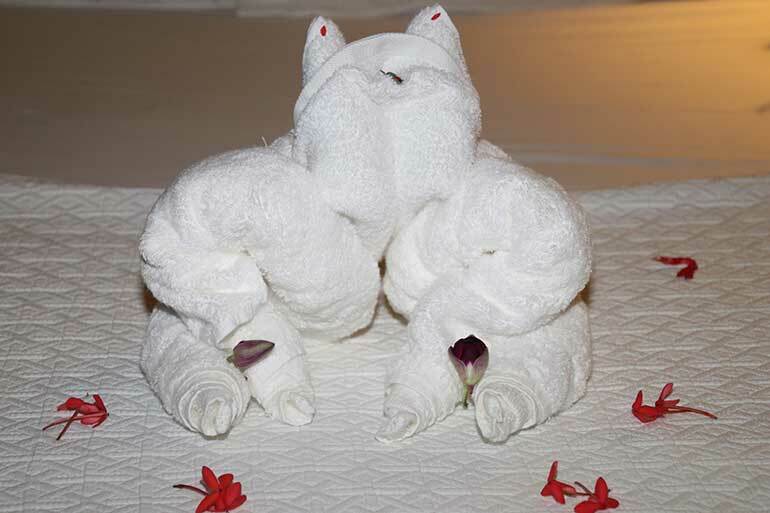 They are exceedingly detail-oriented, a perk for being a Diamond Level guest. 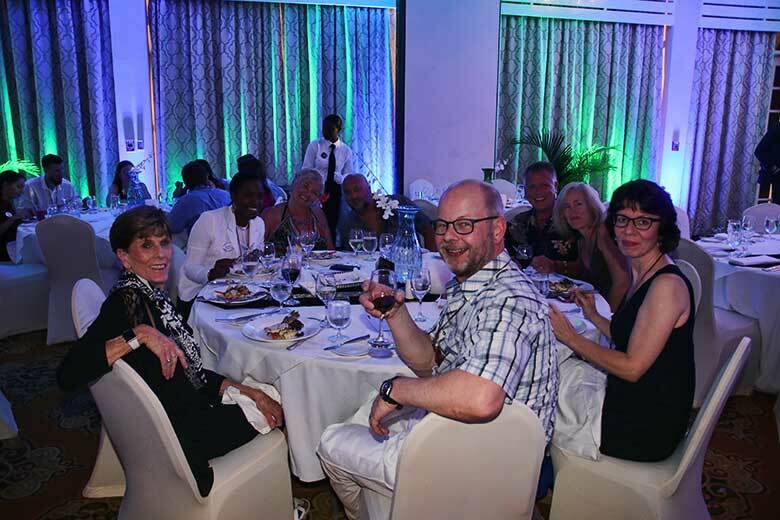 (Last year at Sandals Antigua there was never a mention of Diamond Level members - not even once!) 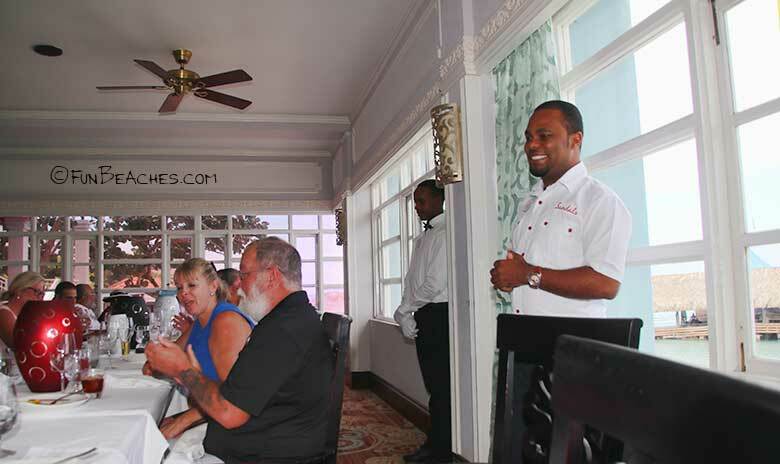 At the Sandals Antigua we were treated like first-time visitors to the Sandals Resorts. Sandals chain. Overall, Antigua was a disappointment due in the most part to the room. You can read my Sandals reviews here. 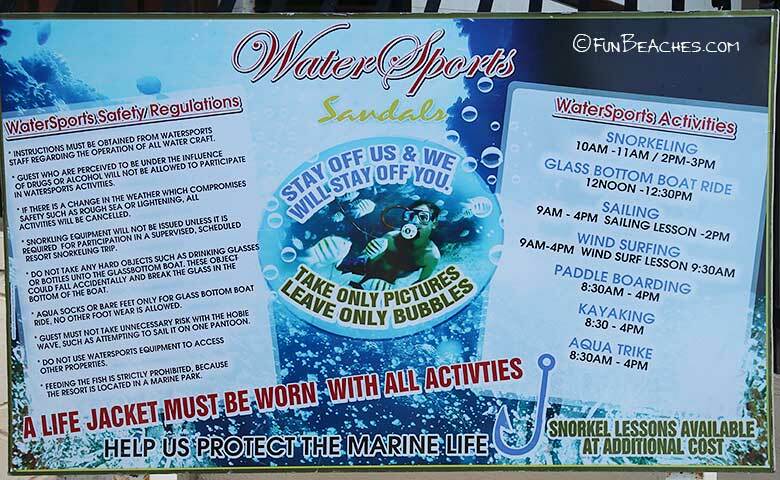 But Sandals Ochi knows how to do everything right! We were presented with cookies on a plate, plus a 1-lb. bag of Sandals Mountain Blend Coffee. 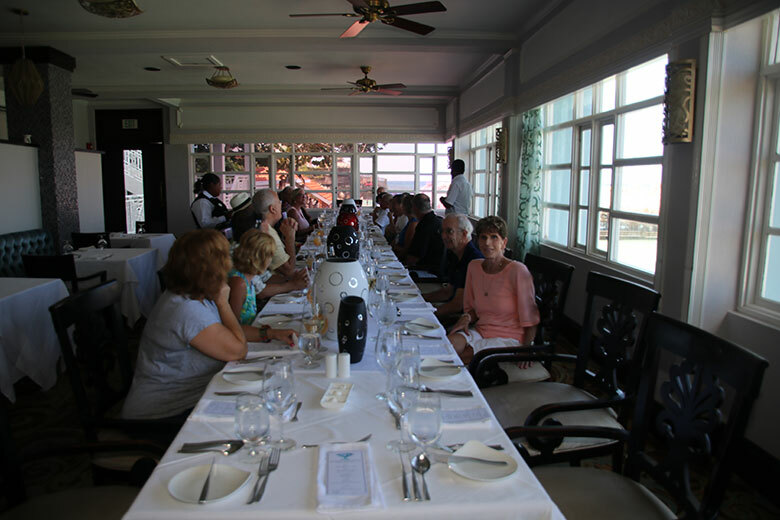 We really enjoyed the white-glove luncheon for Diamond Level members which was a wonderful was a wonderful way to meet long-time Sandals fans, compare memories and share resort information. Thank you for hosting this very special lunch, Ochi staff! We booked the Club Level (formerly concierge) which has been our comfort zone for several years. 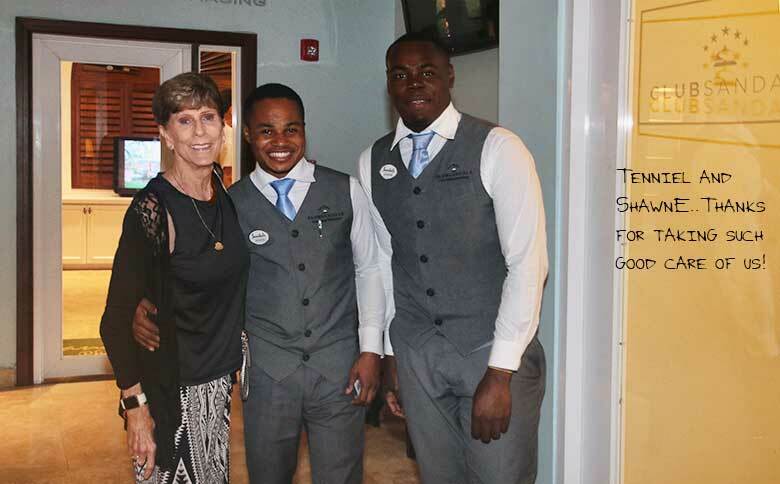 We had the pleasure of working with two concierges - Tenniel and Shawne. They were both very helpful, and we enjoyed them a lot!. Our room was on the top floor of the Riviera Beachfront Tower, overlooking the beach. This is the same category we booked in 2013, and we still thin it offers the best patio views in the resort. Although not very large, these patios are walled in so there was no chance that our privacy might be invaded by neighbors. While we knew we had neighbors, we never saw nor heard anything on either side. During earlier research on this building, I read complaints about noise. Maybe it was because we were om the top floor and the noise didn't drift that far, but we were never bothered. Room photo gallery Photos rotate every 5 seconds. Click any photo to top the rotation. Bar Room Service: We requested bottle of Bailey's Original Irish Creme, Pinot Grigio, Chardonnay, and Champagne - all of which were delivered to our room on an "as needed" basis. It was perfect. Thanks, Ochi! Some of our requests even showed up in our morning coffee! White Night - Chocolate Night: Wednesday. Because of our vacation dates, we were able to attended this event twice. 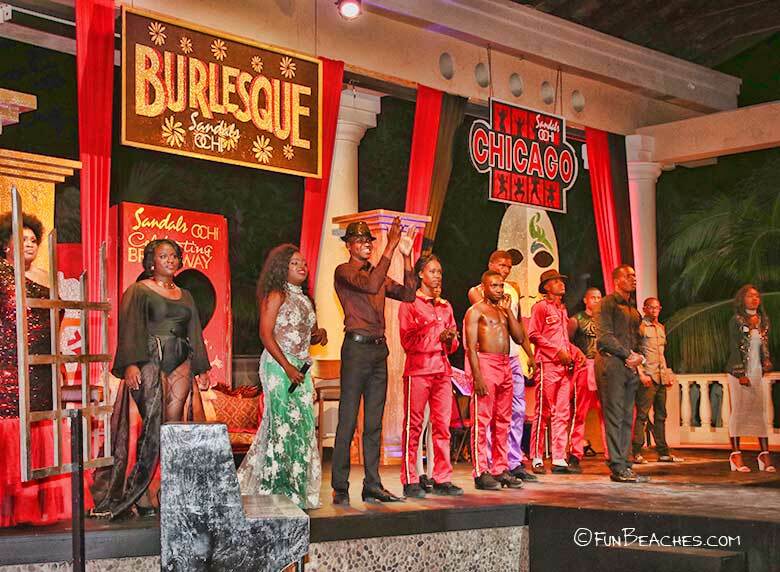 It was truly an amazing production, probably the best we've seen at a Sandals resort. It included live music, dancing and beautifully-designed costumes. And of course there was enough chocolate to feed the entire United States Armed Forces! 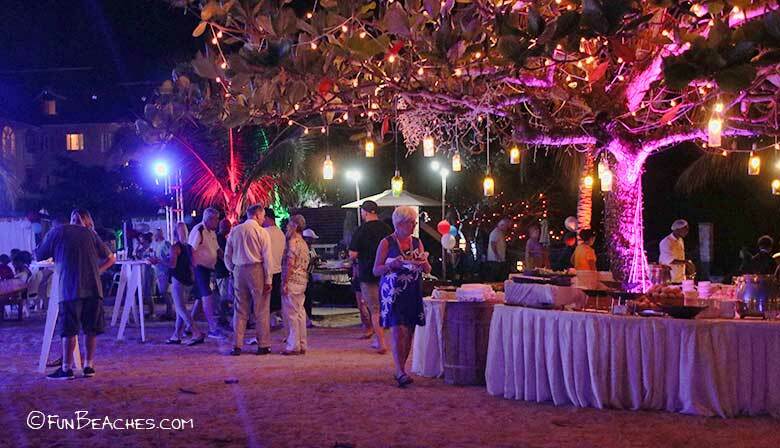 Bars: There are 11 bars on the property, but our favorite was the Polo Lounge on the Hillside. It is beautifully decorated in dark wood with an expansive bar, a piano and seating both indoors and on the huge outdoor patio. 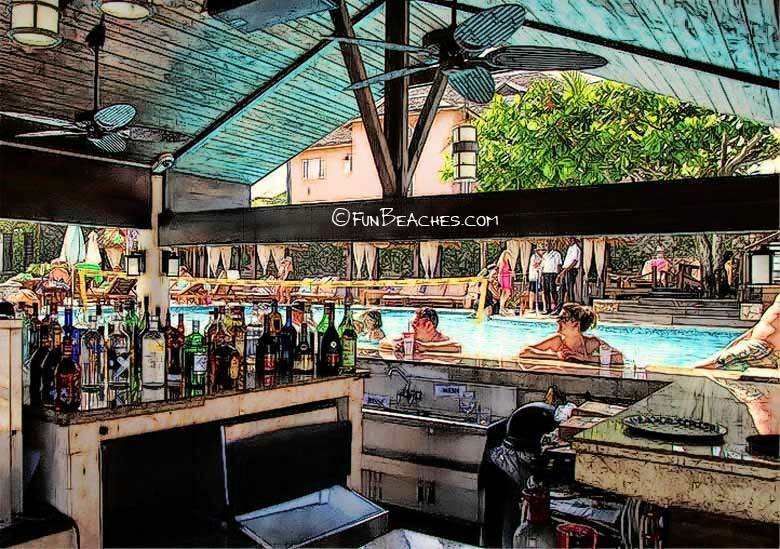 It has the look and feel of Old Money, but our most-frequented bar was the swim-up pool bar, located near water sports. 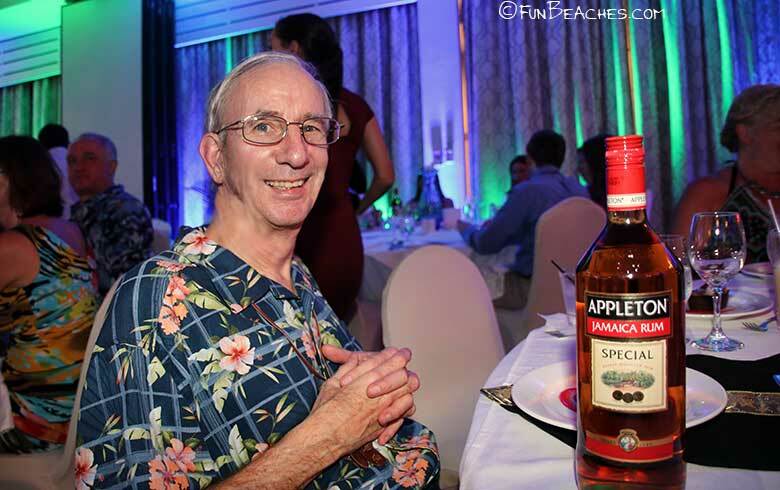 A special thanks to Capprice at our nearby pool bar. If she did not see us at the bar, she would often seek us out at the pool to ask if we needed anything. One of the many bars - and another. Just walk or swim right up and enjoy your favorite drinks. The bartenders were great about taking requests, and they offer their own speciality drinks. Since we are regular Sandals visitors, we knew our favorite drinks in advance: Mudslide, Hummingbird, BBC, Chocolate Martini, Miami Vice Jamaican Smile, Dirty Banana, B52, Bob Marley and even a Funky Monkey! 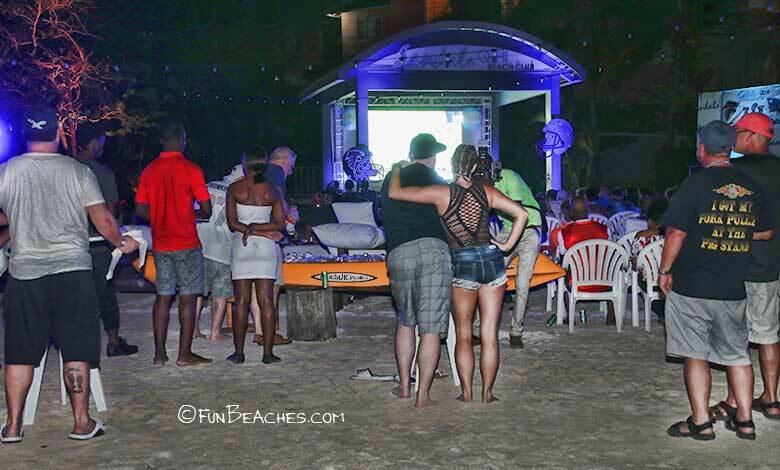 Since we like to go to Sandals in February, we are often there for the Super Bowl. Sandals knows how to put on a party!! Lots of wide-screens, plenty of food and drinks... and everyone cheering for their team! As anyone who sae the game knows it turned out to be amazing! 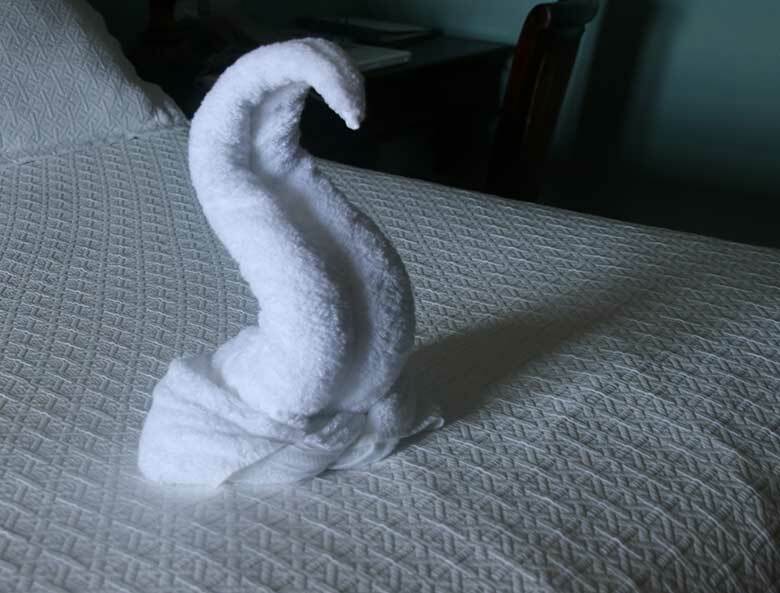 House keeping: Fantastic job! We never had to ask for anything, and I think that may be a first. There were always plenty of bath towels, shampoo, conditioner, body wash, etc. etc. etc. 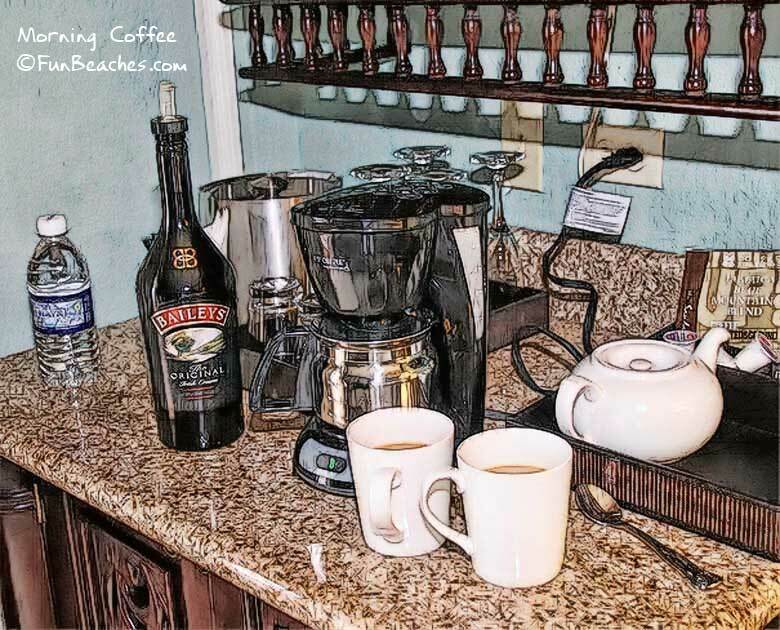 The coffee pot was always clean, with plenty of coffee and cream containers as well as nice variety of tea bags. 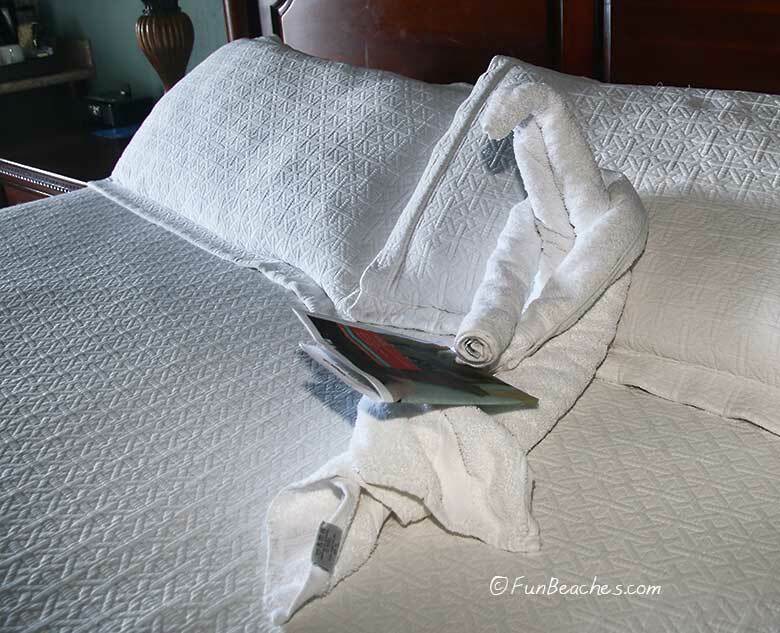 And we always enjoy the towels were left on the bed to surprise each evening when we returned to our room..
Photo Gallery of the Rabbit Hole Speakeasy Photos rotate very 5 seconds/ . Click on any photo to stop rotation. We always look forward to our Couples Massage. We combined our 30 minutes with another 30 minutes and up-graded to an hour-long deep massage. Our room credit took care of the difference. While I would not choose this massage again (a little too deep for me) it was an excellent experience and we very much enjoyed our couples massage. 16 dining choices and 12 bars - and not enough time in our 9-night vacation. On our first full day we made our reservations through the concierge office. We asked for and received 2 nights at Kellys Dockside. 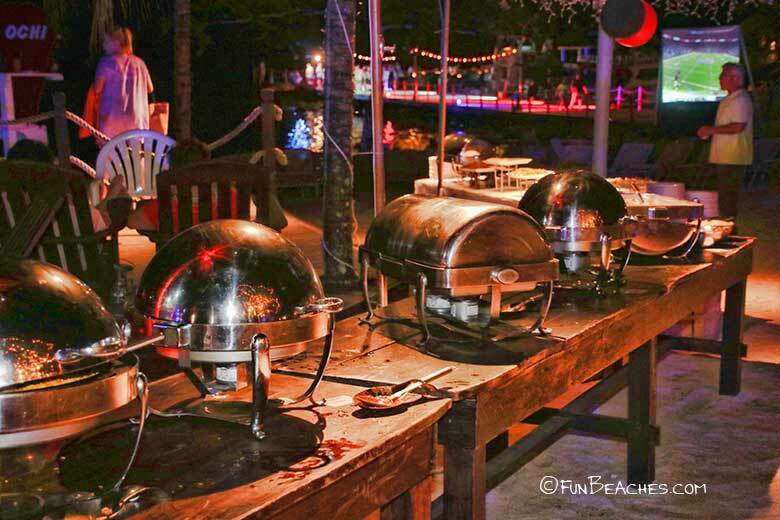 From our past experience at both Sandals St. Lucian and Sandals Antigua, we knew one evening was not enough. The food is fantastic! Kimonos has always been a delight, and this time was no exception. 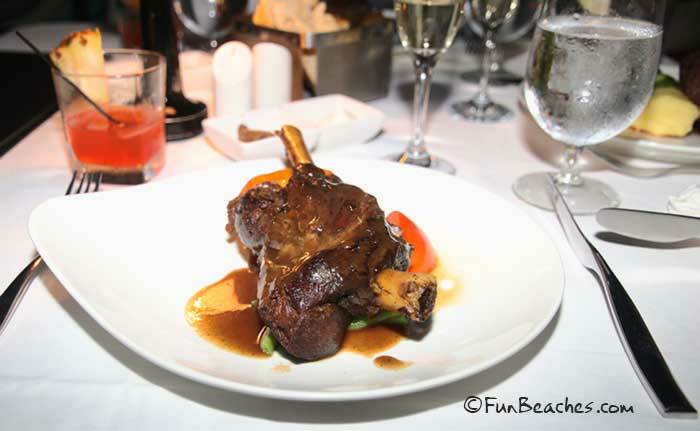 Our first dining experience at Le Gourmand proved to be outstanding. Valentinos, The Reef and Neptune were all very good. The weakest restaurant in our opinion is the Southern Table. We would pass on this one. Of course part of this may be that we're both southern. We live in South Carolina and we have plenty of award-winning chefs and restaurants specializing in southern dishes, especially seafood! I also enjoy cooking Southern meals. IIn other words, we are spoiled. The grits here tasted like Cream of Wheat, and I'll be y'allpigs to polecats they don't contain any heavy cream! Or a proper amount of cheese. The other uninspiring restaurant was the so-called Southern food items were meh. 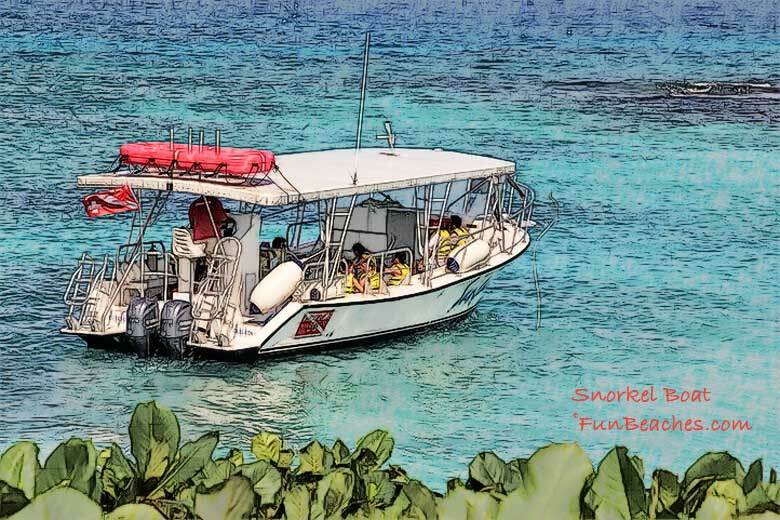 By the time we took the Sunset Cruise we had already met some other Sandals guests and were happy to see them board with us. It was a fairly long cruise - about 2.5 hours - but the time passed too quickly as we enjoyed ourselves. And since it is Sandals. 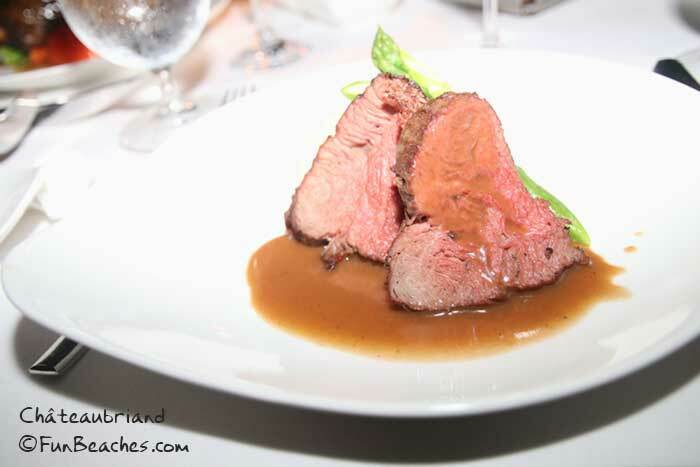 there was lots of food and drinks throughout the cruise. 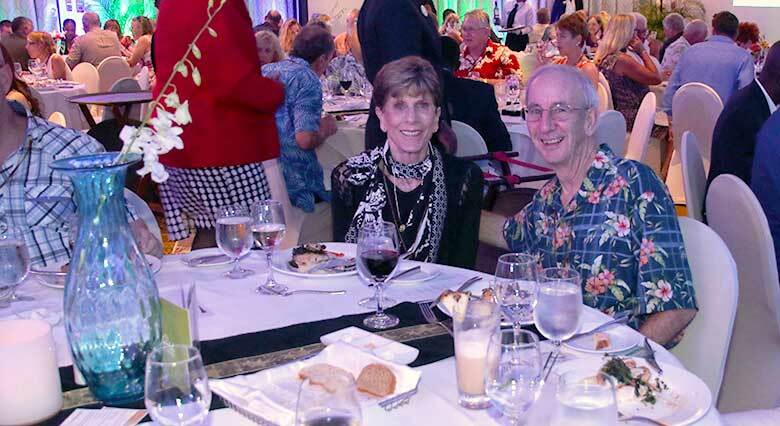 The stff seemed to enjoy themselves as much as much as we did, and everyone loved seeing the beautiful coastline with a sunset before we docked. Photo Gallery of the Sunset Cruise Photos totate every 5 seconds. Click any photo to stop rotation. Not much to see but a few small darting fish. As we came back along the coastline, other resorts were pointed out to us. The kid on the boat said "There's Sans Souci. It means without care, because they don't care." Apparently he thought this was funny. We didn't. We have vacationed at Sans Souci and it is a beautiful resort. Some dayu we would love to return. 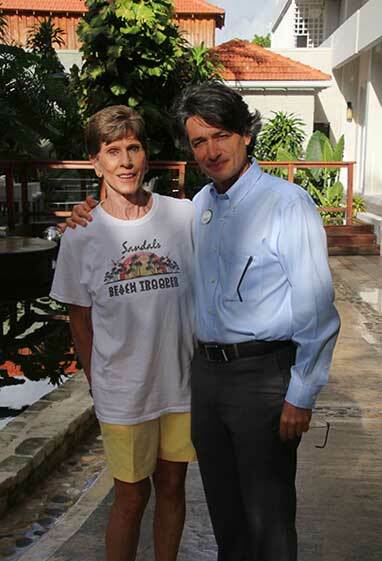 We heard practically the same, obviously rehearsed words on our previous Sandals Ochi from Sandals employees. Come on, Sandals. Don't knock your competition. This sort of thing does not improve your reputation. Sandals Ochi was a wonderful relaxing vacation for us! 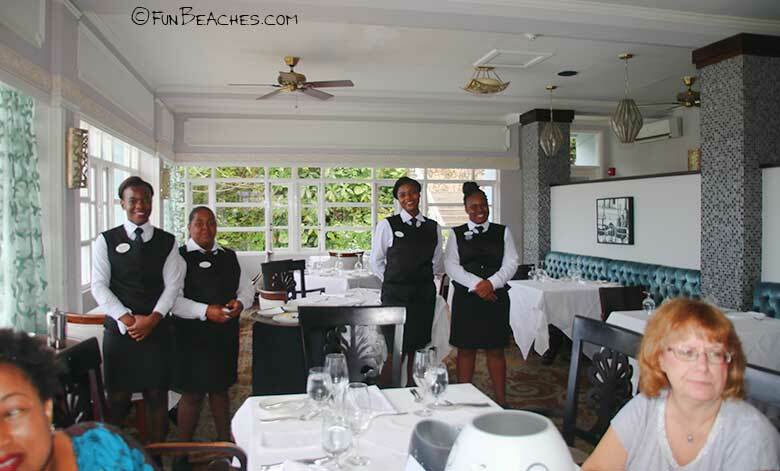 We met so many delightful guests and staff members, and the overall experience was outstanding. We miss y'all already! Even though we had in-room registration, it took 45 minutes to get our bags. Thatâ€™s a long time when you're anxious to get out of your winter clothes and into shorts and a t-shirt. Riviera Beachfront Tower. It is badly showing its age and needs many updates. I said the same thing when we were there in 2013, but the only improvement since then is extra lighting in the bathroom. While I still think this level has the best views at the resort, it is far from the tech age we're living in now. If nothing else, please replace those ancient lamps by the beds and put in some outlets with USB ports as you find today in most hotel. The lamp shades are grayed and just about worn out (I would NOT have one in my house - they look like something from the Adams Family) and the inside of the shade were dark with ugly splotches. In 2013 we had some internet equipment, but in 2017 we have more. Each night we needed to plug in and charge: 2 Apple Watches, 2 laptops, camera batteries and changers, plus 2 iPhones. These rooms are not equipped, and in these days of fast-changing technical advancements this should have already been addressed by management. 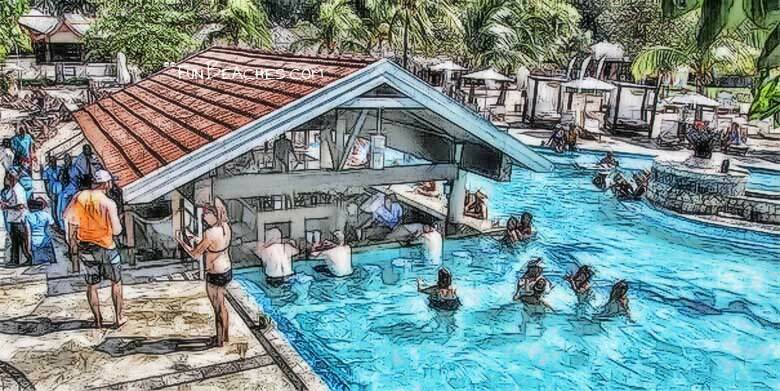 Red Lane® Spa - If Sandals really wants to claim the tital of a 5-star resort, they should not allow their spa people to come around bothering guests at the pool in order to pimp their products. People are at the pool to swim, drink, read or nap. This behavior does NOT happen at a true luxury resort. Additionally, they need to cut back on the sales presentation after a massage or treatment. The Sandals Ochi resort map HERE.